Reproductions There are 8 products. GO7 Remote pot kit. This kit replaces all the pots which are located on the main chassis. The remote board can be mounted in the front of the cabinet to allow for easy adjustment. 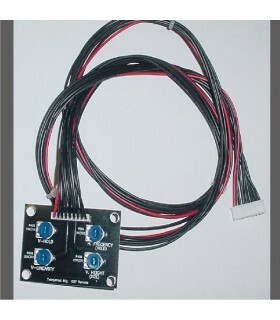 Includes remote pot board, adapter board, 3ft cable assembly and mounting hardware. 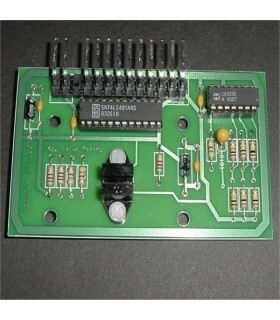 This replacement remote board will work with many of the K7000 series monitors. 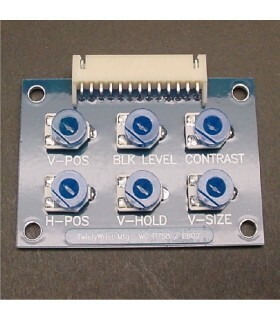 These boards use pots with a larger footprint than the originals and sit flush with the connector housing, which make them more resistant to breakage. Exact replacment for part numbers P758 and P802. For pot value listings, click "more details" link. New batch coming in early July. Reproduction Nintendo audio amp pcb used on sanyo monitors. No modifications needed, installs exactly like original. Modern look with that classis Nintendo sound. Replace your old failing amp or just keep one around as a spare. Reproduction optic board used in Taito operation wolf game Uzi. This board is a drop in replacement, no modifications needed. 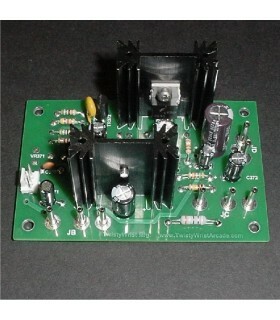 These boards often failed because of the constant vibration from the gun shaker motor. Repair your gun and buy a second for a spare. Reproduction Electrohome GO7-CBO 19" neck board. Easy to replace that cracked neckboard by simply soldering a few wires. 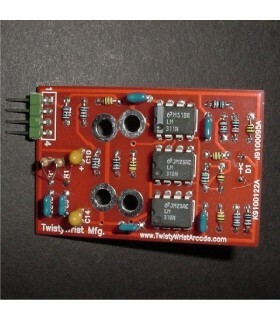 These pcb's are stronger than the original one and are more resistant to cracking. Uses standard size pots that are readily available. DISCONTINUED Sanyo 20EZ Remote Pot Kit. 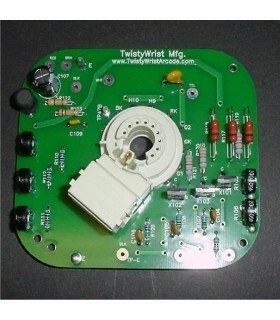 This kit relocates the five pots from the rear of the monitor to a remote board. The remote board includes a detatchable 3 foot cable and can be mounted for easy access to the pots without moving the machine or removing the rear door. 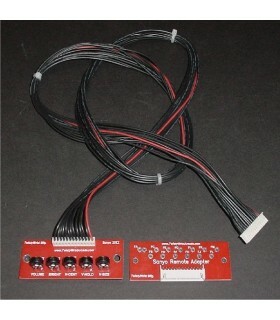 Includes adapter pcb, remote pot pcb, pot knobs, cable and mounting hardware.